A review of the classic 1979 film, "Being There" by a Far-Flung Correspondent. The lists of best films of 2017. A look back at Hal Ashby's "The Last Detail" on the occasion of Richard Linklater's new film, "Last Flag Flying." 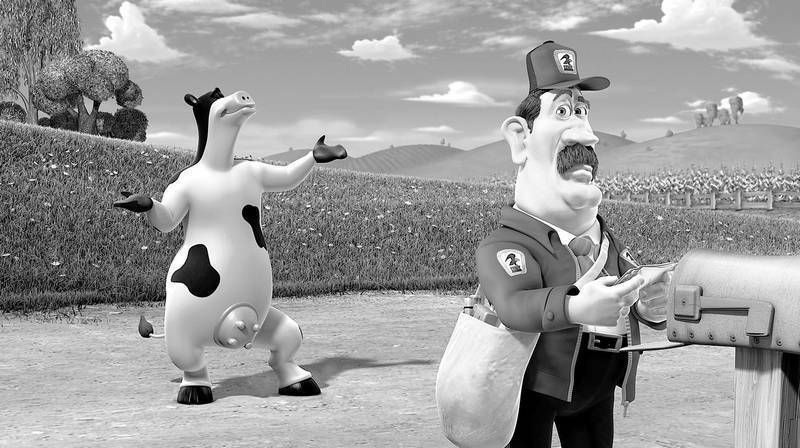 Odie Henderson shares his favorites and highlights from this year's New York Film Festival. Day four of Ebertfest included a complex portrait of a basketball star, three films about the impact of television and much more. 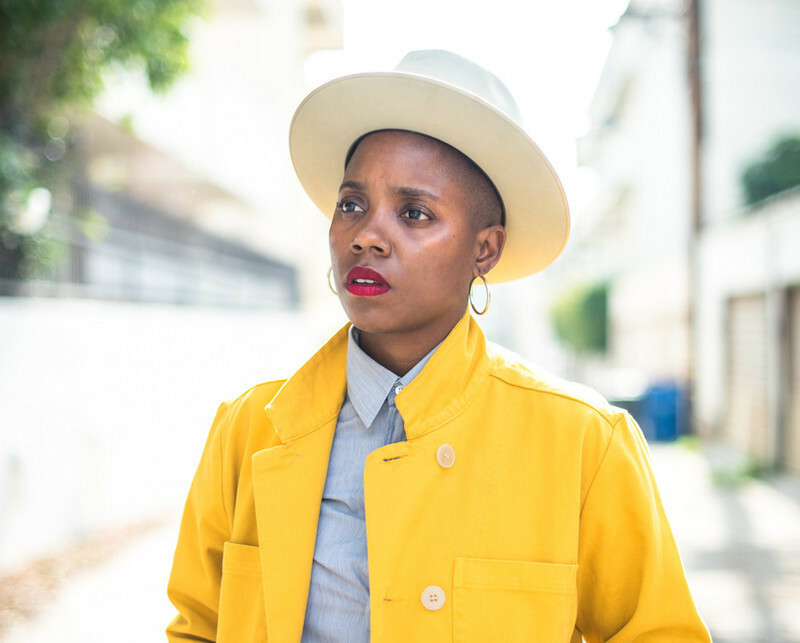 SXSW 2017: Janicza Bravo on "Lemon"
An interview with writer/director Janicza Bravo about her SXSW comedy, "Lemon." Short Films in Focus: "Adelaide"
We're proud to present the short film "Adelaide" and an interview with its director. Interview: Peter Biskind Revisits "Easy Riders, Raging Bulls"
Author Peter Biskind revisits four auteurs from the '70s--Steven Spielberg, Martin Scorsese, Roman Polanski, and Terrence Malick. Video essays on Wes Anderson, including all seven chapters of "The Wes Anderson Collection" and all five chapters of "Wes Anderson: The Substance of Style." • "The Rack" (1956) • "Until They Sail" (1957) • "The Prize" (1963) • "Tales of Tomorrow: Ice From Space" (1953)"The Rack," "Until They Sail" and "The Prize" are now available on made-to-order DVD from the Warner Archive Collection for $19.95 each. "Tales of Tomorrow" can be viewed on Hulu Plus and Amazon Instant Video. by Jeff Shannon You would think that every film Paul Newman ever appeared in would be readily available on home video, right? Guess again. One of the best films from Newman's early career has managed to slip through the cracks of home-video distribution for decades, and unless you're old enough to have seen it in theaters or on TV over the years, it's possible you've never even heard of it. So when I heard that "The Rack" (1956) was available on home video for the very first time, I couldn't wait to break the news to Stewart Stern. For anyone who's wondering "Stewart who?" there's a convenient shortcut you can use when discussing the impressive life and career of Stewart Stern. All you have to say is, "He wrote 'Rebel Without a Cause.'" Uh-huh, that one. With a credit like that, any screenwriter could legitimately claim a slice of movie immortality, like James Dean did as the now-iconic star of Nicholas Ray's 1955 teen-angst classic. But to say that Stern only wrote "Rebel" is a bit like saying Frank Lloyd Wright designed a house. In the course of his distinguished, decades-spanning career, Stern wrote rich, psychologically perceptive scripts that were magnets for great actors and great acting: His script for "The Ugly American" (1963) gave Brando plenty to chew on; his Oscar-nominated script for "Rachel, Rachel" (1968) gave Joanne Woodward what is arguably the best role of her career (under the direction of her husband, Paul Newman; they also earned Oscar nods); and Stern's Emmy and Peabody-winning teleplay for "Sybil" (1976) transformed cute TV actress Sally Field into an Emmy winner with a pair of Oscars in her future. A few years later, Stern left Hollywood, weary of the rat race and struggling with writer's block, the delayed effect of post-traumatic stress from service in World War II. In the mid-'80s, Stern relocated to Seattle and never looked back. And while Stern may have been a nephew of Paramount Pictures founder Adolph Zukor, with additional family ties to MGM moguls Arthur Loew Sr. and Jr., his closest Hollywood connection was more personal and more warmly indicative of the man's soul and spirit: For 55 years, Stewart Stern was one of Paul Newman's very best friends. I saw Oliver Stone's "W." a week or two ago, and I almost forgot. Believe me, it felt even more worn out before the election. I kept thinking I'd seen it before in some other form. Not just as in every day for the last eight years, or as in some other slab of Stone. This one reminded me of Woody Allen's "Zelig" or Robert Zemeckis's "Forrest Gump" -- about a nobody who stumbles into history. 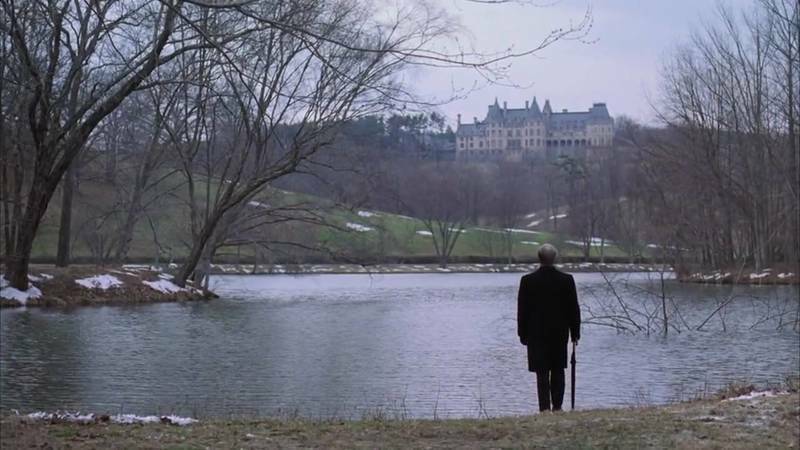 Then I realized it was more like a reworking of Hal Ashby and Jerzy Kosinski's "Being There" -- the story of a vacancy. That impression was magnified Tuesday night as I watched Barack step up to fill it. In that one solemn but hopeful election night speech in Grant Park he did more to steady, strengthen and solidify the union for tough times than I've seen any president do in my lifetime. It wasn't just a matter of commanding screen space or being ready for his close-up (although the camera loves him). But after so many years of looking at a skittish hamster-in-the-headlights, squinting or staring blankly into the lens, how dramatic it was to see somebody there at last -- a solid somebody with a firm sense of who he is, and what it means to lead and to strive and to inspire. No smugness, no self-congratulation, no condescension, no desperation. A grown-up. I felt an enormous sense of confidence and relief. And I didn't feel alone in feeling that. Barbie as Karen in "Superstar." Maybe there should just be a category in the right column for "Lists." Here's one from the film and music writers of Time Out London (which will always be the only real Time Out) called "50 greatest music films ever except for 'Spinal Tap'." No, I added those last four words, but the editors explain in their intro that "we’re celebrating great films – dramas and documentaries – about real musicians." So, OK: No "Spinal Tap." But no "I Am Trying to Break Your Heart: A Film About Wilco"? No "You're Gonna Miss Me: A Film About Roky Erickson"? No "Thelonious Monk: Straight, No Chaser"? No "X: The Unheard Music"? No "The Girl Can't Help It"? No "Wattstax"? No "Woodstock"? No "The Kids are Alright"? No "No Direction Home"? No "The Buddy Holly Story"? No "Theramin: An Electronic Odyssey"? No "Heart of Gold"? No "The Filth and the Fury"? No "We Jam Econo: The Story of the Minutemen"? No "La Bamba"? No "Kurt and Courtney"? See how much fun this is? Really, though, I'd substitute any of these for several of the selections on the list. View image No one here gets out alive. At the toppermost of the poppermost: Todd Haynes' 1987 "Superstar: The Karen Carpenter Story," a 45-minute lo-fi "dramatization" that was never officially released because of music clearance troubles (that is, brother Richard wouldn't let Haynes use any Carpenters tunes). Still, after 20 years as an "underground" item, it's available from Google Video here. It's something you really need to see: a documentary-style biopic of Karen Carpenter performed mostly by Barbie dolls. 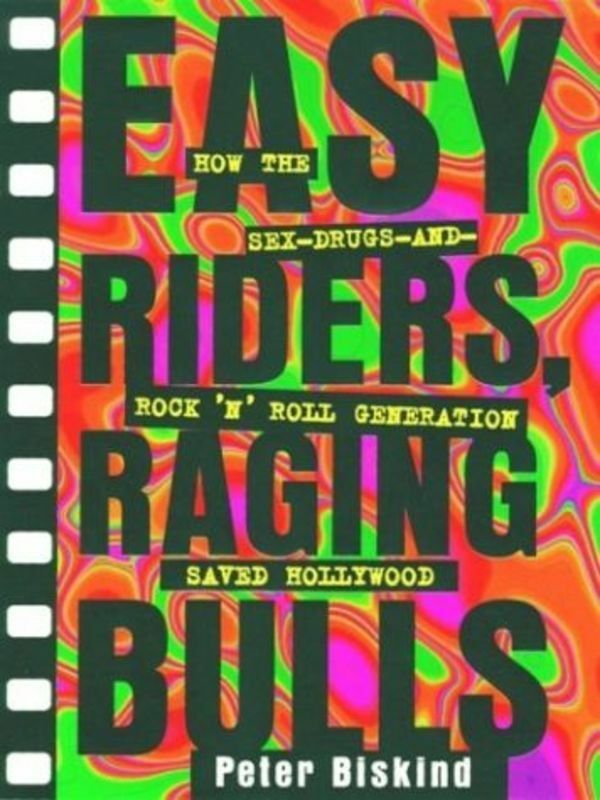 Yes, its a parody (so are most musical biopics, including others on the list -- see the upcoming Jake Kasdan/Judd Apatow picture, "Walk Hard: The Dewey Cox Story" for more on that score). But it presents straightforward facts about anorexia that could have been excerpted from any PBS or 16mm educational doc of the period. It's also a formula showbiz melodrama. But for all the layers of artifice, like Haynes' Sirk opera "Far from Heaven," it becomes strangely, hypnotically -- and genuinely -- moving. Prepare yourself for Haynes' Dylan fantasia, "I'm Not There," by watching "Superstar" and "Velvet Goldmine." The 100 Greatest Directors of... what? I was not familiar with TotalFilm.com, until I spotted a link over at Movie City News. The link was to a pair of articles listing Total Film's choices for "The Greatest Directors Ever" Part 1 (100 - 49) and Part 2 (50 - 1). Tony Scott is #74, just edging out Milos Forman, Kenji Mizoguchi, Satyajit Ray, Carl Theodor Dreyer, and Buster Keaton, who comes in at #88. Bryan Singer is #65, two slots below Robert Bresson, who immediately follows Sam Raimi. Michael Mann (#28) is on the list, but Anthony Mann is not. Bernardo Bertolucci is... not on the list. Otto Preminger is... not on the list. Richard Lester is... not on the list. Rainer Werner Fassbinder is... not on the list. Max Ophuls is... not on the list. George Cukor is... not on the list, but George Lucas (#95) is. Andrei Tarkovsky is... not on the list. Eric Rohmer is... not on the list. Claude Chabrol is... not on the list. Luchino Visconti is... not on the list. Vittorio De Sica is... not on the list. Michelangelo Antonioni is... not on the list. Not even the top 100. What's worse are the little names they have for each director. Sophia Coppola (#99) is "The dreamer" ("Dreamy, brave and cool, this Coppola is doing it for herself"). Singer is "The new Spielberg." Robert Altman (#26) is "The outsider" -- oops, but so is Hal Ashby (#58). Somebody ran out of labels. Well, at least they are not outside all alone; they are outside together. Sam Fuller (#50) is "The hack." Mike Leigh (#49) is "The grouch." Quentin Tarantino (#12) is "The motormouth." OK, that's enough. Have at it if you feel like it. If you don't feel like it, you'll probably live. The coercive effect of Kael's technique was not simply contrarian, which might have had its praiseworthy aspects; "For Keeps" makes it clear, as Adler noted years ago, that this is a critic who brooks no contradiction and turns herself into a pretzel to stun the reader into agreement that a worthless film has moments that outshine, and outmerit, actual masterpieces, if for no better reason than that the film was made by one of the directors she routinely fawned over, like De Palma. When it suits her, Kael does a complete volte-face and fetishizes the transcendent artistry of De Sica's "Shoeshine," for example, or treats us to an extremely long, extremely ill-informed analysis of how things work in Hollywood to explain "why today's movies are so bad." It is, perhaps, the absence of any real sensibility rooted in any consistent method of analysis that makes Pauline Kael's collections of reviews the kinds of books I don't like having in my house. She's not a real voice but more like a suet of arbitrary, extemporized pronouncements. She is Gertrude Stein's Oakland; There's no there there. She validated film reviewing. Difficult as it is to believe today, at the height of America's countercultural upheaval movies truly mattered: It mattered which movies were made, which movies audiences saw, and what they thought of the movies they did see. Godard was important, Bunuel was important, Paul Mazursky and Hal Ashby were important. Art was not happening in the museums; it was in the streets and movie houses. Kael was the pied piper of reviewers who made readers believe that movies, even disreputable movies, were important. If movies were important, it followed that movie reviewing was important. A considerable achievement, and I wish I could say a wholly beneficial one. Cultural history has not been kind to Pauline. She was able to rail against critical snobbery and High Art, defend mass-audience taste and extol "trash" because she never feared for culture. She knew that there would always be standards. Because she had standards. She appreciated great art and literature and opera; no amount of "trash" could change that. Not long before she died, Pauline remarked to a friend, "When we championed trash culture we had no idea it would become the only culture." That's exactly the point. She and her foot soldiers won the battle but lost the war. Mass taste has become acceptable taste, box-office receipts the ultimate measure of a film's worth. The pop films Kael most loved, such as "Hud" (1963), if made today, would be considered art-house fare. Returning to her writing after so many years, I'm still puzzled by a central ambivalence in her judgments that seems to gravitate around the notions of "art" and "trash." In her celebrated essay "Trash, Art, and the Movies" (Harper's, February 1969)--the closest she came to a general statement of intentions--she wants to celebrate the gaudy pleasures of cinematic vulgarity: "I don't trust anyone who doesn't admit having at some time in his life enjoyed trashy American movies.... Why should pleasure need justification?" She directs withering scorn at those stuffed-shirt humanists who admire "Judgment at Nuremberg" or "Wild Strawberries" but can't appreciate "The Thomas Crown Affair" (1968). But she's equally at odds with anyone who likes trash a little bit too much, likes it enough to think that "trash" is perhaps a term of doubtful use: "If an older generation was persuaded to dismiss trash, now a younger generation, with the press and schools in hot pursuit, has begun to talk about trash as if it were really very serious art." It doesn't help that her examples of yesterday's kitsch now mistaken for art are "Shanghai Express" and -- amazingly for someone who would go on to grossly overpraise the Hitchcock imitations of Brian De Palma -- "Notorious." She goes in circles on this theme, churning up perplexities about pleasure and puritanism, bourgeois complacency and radical transgression, without ever coming to a comfortable resting point. What is clear is that there is no party of which she wishes to be a member; if she has to declare for anything it will be the sovereignty of her own taste. Here is perhaps the finest young actor in American movies, and he says he's decided to say the hell with it, and walk away from acting, and direct films for a living. Did the gossip machine destroy Sean Penn, or is this just a phase he's going through?